Mirage Landscaping has been providing professional residential and commercial landscaping services in Calgary for three generations. Specializing in servicing the southeast area of the city, we know how to keep your property beautiful and inviting for clients and guests. 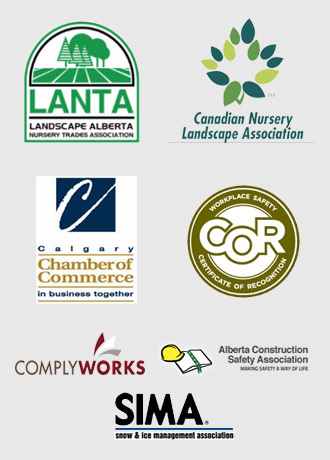 The City of Calgary has a set of bylaws created in the interests of pedestrian and motorist safety that govern the growth of certain trees or shrubs. Calgary’s Traffic Bylaw 26M96 regulates the maximum height and location of a shrub planted upon a corner lot. This allows drivers on the converging streets the chance to spot one another to avoid needless accidents. We all know what it’s like to pull up to a four-way stop and not be able to see if there’s traffic approaching on the left because of a towering hedge. In a right triangle demarcated by 25 x 25 foot setbacks along the travel of both streets which meet at your corner lot, no shrub may be growing that exceeds 2.6 feet tall, or 75cm. The City’s Street Bylaw 20M88 dictates that trees need be pruned so that their lowest branches are at least eight feet over sidewalks to allow for pedestrians and up to fifteen feet over thoroughfares (including alleys) to avoid branches striking taller vehicles. Cutting, pruning, moving, or removing them. Penetrating the bark with any signage or other objects. Pouring any liquids upon them, save for water. Hanging electrical cords or any other objects upon them. Planting your own shrubs or trees upon City owned property. If you have trees or shrubs that could be located within a public easement, and thus, not really yours, call 3-1-1 and request an assessment before pruning them or cutting them down. Failure to do so could cost you a fine of up to $500. Calgary is well past the fastest grass-growing months of the summer and it’s been exceptionally dry, so lawns are unlikely to become unwieldy again. But during June and July it can be hard to keep up with mowing when City of Calgary bylaws mandate that the length of grass be kept at less than 15 cm (six inches) in height. That’s where we come in! We guarantee we will never let your lawn get long enough to warrant a ticket. For the street facing side of your property within city limits, the maximum height your fence can be is 1.2 metres, (4 ft.). This allows patrolling officers to see into the property if necessary and allows for the easier identification of your property for other emergency services. Mirage’s Landscaping’s commitment to unique design and high standards of customer service and craftsmanship is evident in our portfolio. The owner of Mirage Landscaping will bring his years of experience in the design and construction of landscapes in the Calgary community to your project. After working with you to create your own design, he will remain directly involved in all phases of construction, coordinating an expert crew to get your project done right. His experience in design ranges from simple, elegant Calgary landscapes to unique and intricate designs that include construction of paved stone walkways and patios with stone garden beds and retaining walls. 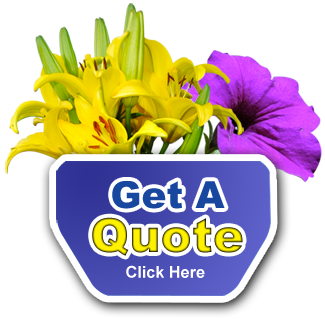 Beginning with your quote, through each stage of the construction process and until the last truck drives away, Mirage Landscaping will coordinate all aspects of your commercial or residential Calgary landscaping project. Personal attention to every detail, and a 100% satisfaction guarantee means you can trust Mirage.